Lewis Hamilton has flawlessly resumed the title fight by beating his teammate to pole by almost half a second to lead a mixed grid at the Belgian Grand Prix. Nico Rosberg in the second Mercedes looked as though he had the edge on the championship leader on Friday, but the tables turned in Saturday morning practice from which points Hamilton never looked back. Hamilton’s 1 minutes 47.197 seconds earnt him his sixth consecutive pole and the season’s pole position trophy. “I’m really happy today with the performance of the car and, so far this weekend, the performance of this team,” said the championship leader. “The car’s been feeling great on this circuit. 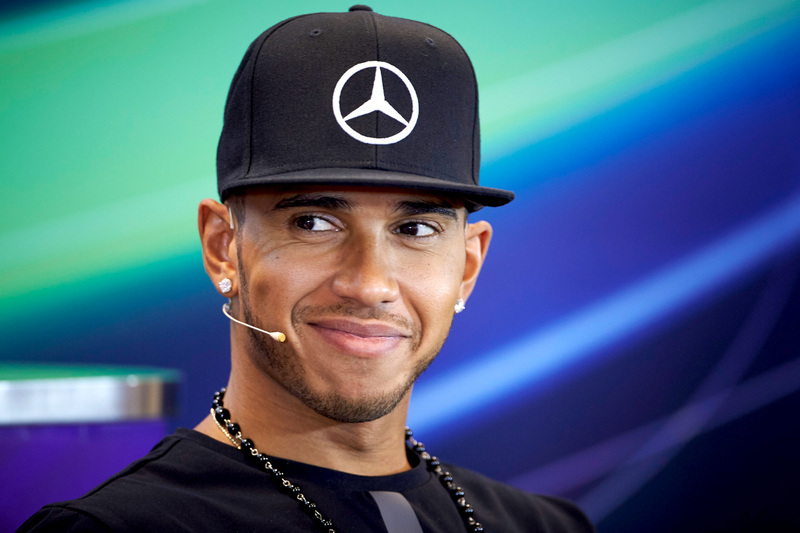 Hamilton also noted that pole position only tenuously gave him an advantage in the race, with advent of new start procedures giving drivers full control of their clutches, making a perfect start significantly harder to execute. “The team has done a lot of analysis,” he said. “I’ve been the factory practising and getting ready in the simulator. “We’re as prepared as we can possibly be. We feel relatively good about it. The gap to pole will be devastating for Rosberg, who twice made costly errors in his Q3 hot laps to hand the advantage to Hamilton. “Disappointed,” he admitted. “I lost a bit this morning in free practice — we went the wrong way [in set-up] — but came back nicely and had a good balance in qualifying, so I could push well. Valtteri Bottas was best of the rest, which equated to 0.9 seconds behind Rosberg and 1.3 seconds off pole position. Williams has given emphasis to its low-downforce configuration, sacrificing time in the twisty middle sector for massive gains on the straights in sectors two and three — meaning mounting an overtaking manoeuvre will be difficult for its competitors. Romain Grosjean qualified happily in fourth, capitalising on one of the few opportunities he has to shine in his patchy Lotus car. The qualifying result will be a morale boost for the team, which is being threatened with legal action by former reserve driver Charles Pic, and is facing uncertainty over a potential sale to Renault. Sergio Perez delivered Force India’s now traditional outstanding result, aided by its Mercedes engine and slippery chassis, to put himself in P5, ahead of Daniel Ricciardo’s unexpected entry for Red Bull Racing. Felipe Massa was pushed down to P7, 0.1 seconds behind Bottas, keeping the second Lotus of Pastor Maldonado at bay by a further tenth of a second. Sebastian Vettel’s best effort of 1 minute 48.825 seconds has put Ferrari in damage control after coming off the high of victory at the Hungarian Grand Prix. Though the Mercedes engine is obviously the class of the field, the Ferrari power unit should not have found itself so out of sorts, and nor should its chassis have been so outranked. Ferrari’s embarrassment was only heightened by Red Bull Racing’s Renault-powered P6. Spa’s run of red flags during practice resumed in qualifying two when Kimi Räikkönen’s Ferrari power unit packed it in with a dramatic drop in oil pressure, necessitating a total shut down and the Finn’s withdrawal from qualifying. Räikkönen avoided qualifying slowest of Q2, however, after Max Verstappen encountered a Renault power unit problem, confining him to P15, bumping the Ferrari driver into fourteenth. The stoppage came late in the session, leaving the remaining 14 drivers to make their Q1 bids in the final three minutes. Verstappen’s teammate Carlos Sainz hinted at what the Toro Rosso package might be capable of by knocking Nico Hülkenberg out of Q1, locking the German into P11. Just as Force India was disappointed to see one of its drivers qualify outside the top 10 at a circuit it traditionally performs strongly at, Red Bull Racing lost Daniil Kvyat to P12 after setting surprisingly competitive practice times. Marcus Ericsson qualified effectively slowest of the session, taking the thirteenth quickest time, which will line him up alongside the stricken Ferrari of Kimi Räikkönen in Sunday’s race. The first qualifying session since the midseason break started in much the same pattern Q1 has taken for most of the season, with the field daring each other to use a set of the fastest soft tyres. Inevitably, every car ended up using a set of options. All except Mercedes, that is, with both Lewis Hamilton and Nico Rosberg dominating the first session with the slower medium rubber. Felipe Nasr was the quickest driver caught out, the upgraded Ferrari power unit in his Sauber still proving a grade below the fully-fledged motor in the Scuderia’s red cars, despite teammate Marcus Ericsson making it cleanly through to Q2. McLaren’s double Q1 elimination had nothing to do with being caught out, meanwhile, with Jenson Button’s fastest time, good enough for seventeenth fastest overall, a full second behind the Sauber, with Fernando Alonso half a second further back. Honda suggested the new specification power unit it brought to Spa could be a match for Ferrari’s but its promise failed to eventuate. Will Stevens outqualified teammate Roberto Merhi in nineteenth and twentieth, though will be bumped up two places with McLaren taking a number of engine-related penalties.